No, it's not Alien: Isolation 2, but a new Alien videogame is currently in development at Cold Iron Studios - including developers who worked on Borderlands and BioShock Infinite! The new Alien title is being classified as a shooter and will be available on both PC and next gen gaming consoles. Currently no release date or plot for the game have been revealed, but as new details arrive we will be sure to keep you updated! It is possible this new game might revolve around the newly expanded Alien universe and involve aspects of both Prometheus and Alien: Covenant - considering the Marines vs. Xenomorph angle has been played to death with previous Alien games, it would be a good move for the developers to include more of the Alien's lore with this new title. What do you hope this new game includes? Let us know in the comments! 16 Fan responses to New Alien game in the works at Cold Iron Studios! 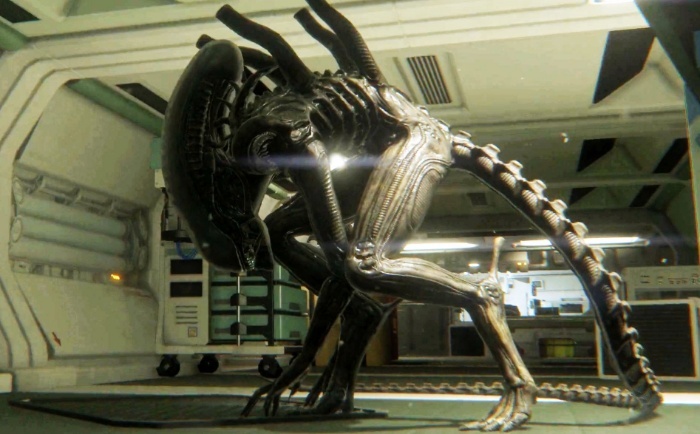 I would love an a Alien Isolation style game with the inclusion of Prometheus lore and rooms with bio experiments that come to life at attack a poorly armed character. @Critters5 I agree. Honestly I hope it isn't a complete shooter game we've had enough of those. 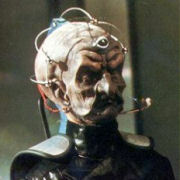 I'd be fine if it was an Engineer as the main antagonist. I guess we'll have to wait and see. It will be interesting to see where they can take this game and what it would be about, Isolation was a hit and good game due to it bringing in the same kind of jeopardy that ALIEN and ALIEN 3 had it was a interesting Formula.. Colonial Marines did not do to well, because it was basically just a SHOOTER but i think the Plot and Characters in the game just did not hit home as well as Alien Isolation. I think this hits home with the Movies too, a Good Plot and Characters is Crucial for a Xenomorph movie, just as much as a Game, because there is only so much you can go around Shooting at Eggs, Face Huggers, Xenomorphs and a Queen... before it gets repetitive. The expanded universe has opened up the possibility to add NEW elements and ideas, i think a GAME that is more of a Survival Horror like a Resident Evil/Silent Hill in Space and so similar to a Dead Space kind of Game would be interesting instead of the typical discover a Xenomorph Hive, and deal with hordes of Xenomorphs kind of shooter. Alien Isolation 2 with an option to play stealthy, action or combination of both would be fine with me. I want to play as the Xenomorph. There hasn't been a game where you can play as the Alien in a single player campaign since Aliens vs Predator (2010). Marines and human survivors are cool and all, but I really enjoy the being the Alien. IMAGINE.. Alien Covenant, was the Colonist arriving after David had left on a Engineer ship, so they just uncover all the Horrors left behind, were more Crew could be attacked infected with Xenomorph and Neomorphs.. So a game set after Alien Covenant where a Ship with a 8-12 crew lands on Planet 4 would give us a Survival Horror that has a bit of suspense and action. Check out my gaming blog tomorrow! I would love to see a game that takes place on Planet 4, in the Engineer city. Where the player would have to do specific tasks around the city at night during a crazy storm, also while avoiding Neomorphs, and later the proto-xenomorph. Like BigDave said. Great news! Keep the Alien verse alive. How did they get the license? Who owns the rights to develop Alien themed stuff? Disney? Love to have it on LV223...in the catacombs...deep in the tombs. Would be much easier to create...Planet 4 has has many of objects(trees,cities, lakes)..Lv223 just has rocks. It shows the Potential for Locations within such a Game, i have added a Circle where the Neomorph Attacks happened, and thus where the body of Hallett and Ankor will be located. So a Video Game mission to Planet 4 would allow for the discovery/exploration of a number of things. *Lander Crash Site: Not much evidence to be gained, maybe the bodies of Karine, and Ledwood would be in no good condition to figure whats happened, and Farris no doubt would be severely burnt. *Neomorph Attack Zone: Where the remains of Hallett and Ankor are located. *Juggernaught Ship: Where a number of clues remains and Neomorph Spores. *Stream/River just before the passage to the Juggernaught: The location of the Spores that infected Ledwood, but more Spores could be located at various areas near River/Streams. *The Inner Engineer City: Where we would have the location of many Dead Bombarded Engineers. *The Hanger/Docking Bay: What is left to discover here? Any Engineer Ships? *The Crashed Docking Ship: Another place to explore, what condition are the Dead Engineers in here? *The Cathedral Building: Again maybe one of the Main Locations, where Davids Workshop (some Black Goo) and Experiments are located, the Dead Bodies of Rosenthal, Cole and Oram including the Egg Chamber with plenty of Eggs remaining. Plus likely Walters Body (depending on his condition). *Other City Buildings: What clues/horrors remain here, was their temporary shelter from the Bombardment in any of these buildings? *Vast Mountains, Forest and Open Plains: For locations, where the Gamer could be hunted by Xenomorphs/Neomorphs. *Missing Neomorph: We only saw the death of one, so where is the other? How long do them live and what happens when they Die? The other Questions Remaining is what became of the Xenomorph/Neomorph Bodies are their remains, do they decompose? Ridley Scott Teased the Xenomorph would Regenerate, which sounds silly, but maybe not if from the remains, they break down and small Egg Spores grow. A game could have the crew split into groups, one group remains at the Landing Site, and a lot depends where this site is located.... do they land close to the Covenant Lander Wreckage? Closer to the City? The Game could offer TWO alternative Characters to select, one a Female and one a Male, like the Original Resident Evil Game, and each Character belongs to a different exploration party. So if you choose Character A you head off to explore the Juggernaught First, get a SOS to help the other Party, or arrive where they are latter (The Cathedral) while if you choose Character B you are off to the City/Cathedral first, maybe you arrive latter at the Juggernaught or witness survivors of this Party running to your location, with Neomorph in pursuit. If you are Character A, then by the time you reach the Cathedral, you will discover a few of that Party have been infected with Face Huggers, maybe discover the Bodies and Witness Chest Burster. If you are Character B maybe you discover Orams body and the Egg Cave, see some get Face Hugged and attempt to leave the Cathedral at which point you run into Character A running of from a Neomorph. So yes a kind of Survival Horror Game could work very well. If you research CIS you'll see that they are known for MMO's like Star Trek Online before they were bought by Fox.